This bright arrangement gives happy vibes instantly. 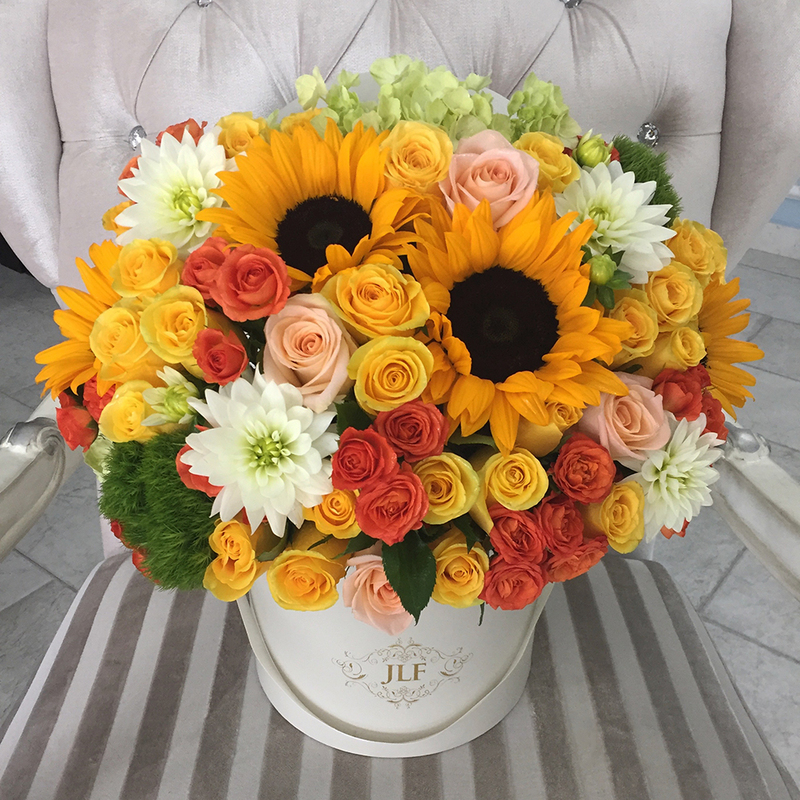 Bright and bold sunflowers are paired with classic orange and yellow roses with a mixture of hydrangeas, dianthus and dahlias. The arrangement in the image is in the medium size box.